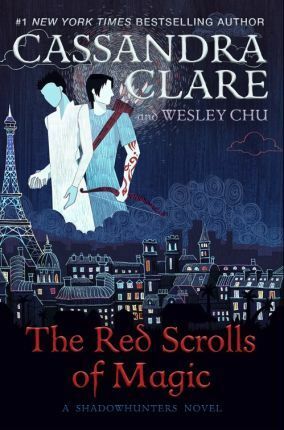 Cassandra Clare is the author of the #1 New York Times, USA TODAY, Wall Street Journal, and Publishers Weekly bestselling Mortal Instruments series and the Infernal Devices trilogy, and coauthor of the Bane Chronicles with Sarah Rees Brennan and Maureen Johnson. She also wrote The Shadowhunter's Codex with her husband, Joshua Lewis. Her books have more than 36 million copies in print worldwide and have been translated into more than thirty-five languages. Cassandra lives in western Massachusetts. Visit her at CassandraClare.com. Learn more about the world of the Shadowhunters at Shadowhunters.com. Wesley Chu won the John W. Campbell Award for Best New Writer. His debut novel, The Lives of Tao, earned him a Young Adult Library Services Association Alex Award and a Science Fiction Goodreads Choice Award Top 10 slot. He is also the coauthor of The Eldest Curses series with Cassandra Clare.